One of our favorite apps on the iPad is Pocket Zoo. 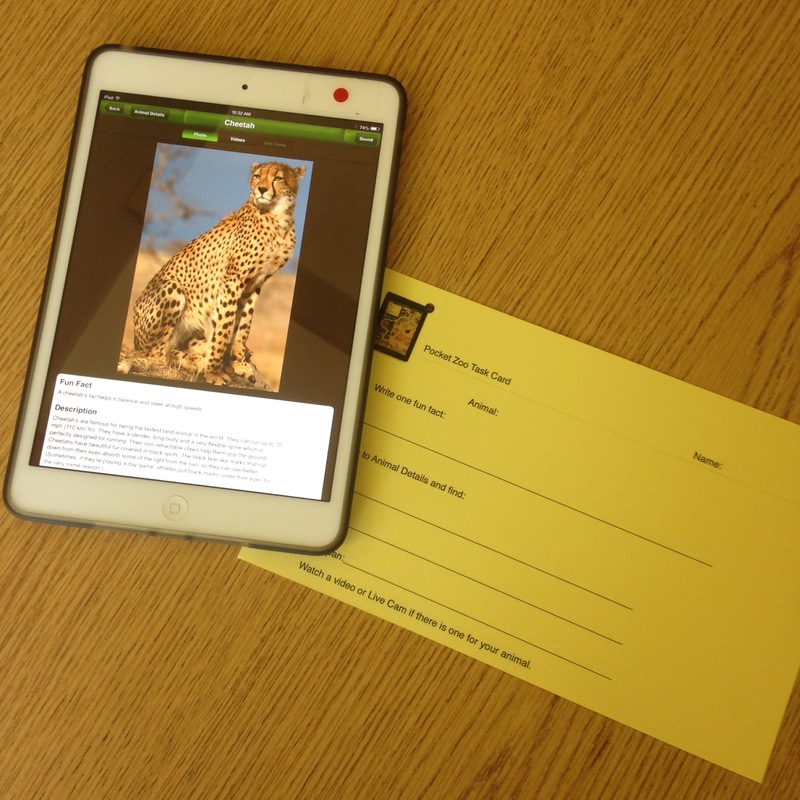 Students choose an animal to research and write down their information of one of our iPad Task Cards. The app has easily accessible information about a wide variety of animals, plus live cams from zoos around the word, and a library of amazing videos. Students do this during our quiet reading time on a rotating basis using our four iPad minis and it has become one of their favorite activities. Kindergarten–Kindergarteners loved the sequel to No More Jumping on the Bed by Tedd Arnold. 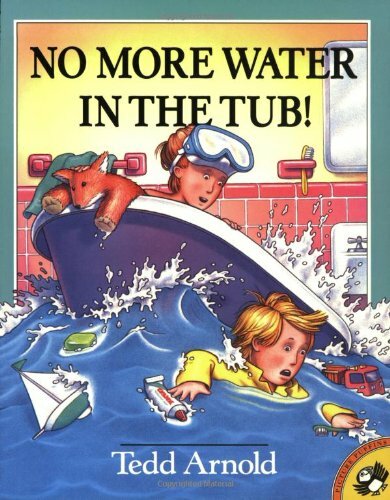 This book, No More Water in the Tub takes Walter’s little brother, William, on a wild ride in the bathub. It was great to compare the two stories using our visible thinking routine called Same, Same, Different. First, Second, and Third Grades continued with our California Young Reader Medal nominees. Fourth Grade and Fifth Graders did a mock Battle of the Books in preparation for our lunch practice meetings which begin on Monday, March 2. The Battle of the Books is Wednesday, April 29. 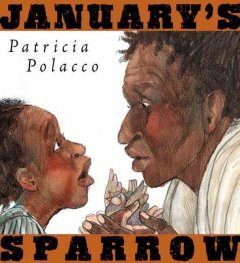 Sixth Grade–We finished the third and last installment of the gripping story of the Crosswaite family in Patricia Polocco’s wonderful book, January’s Sparrow. The story gives a very personal look at the plight of slaves who ran away from their owners and the people who helped them on the Underground Railroad to freedom in Canada.